I have finally decided to join the twenty-first century and start texting. So tonight after work I stopped by the AT&T store and looked for a new cell phone. The guys at the store looked up my account and saw that I had my old phone for nearly five years. It was a month short of five and I had been out-of-contract on my calling plan for nearly four years. This was a big deal for me, since I rarely get a new phone. 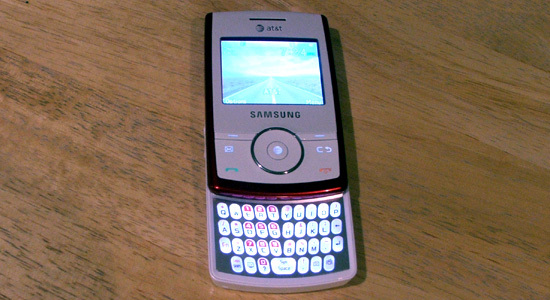 The new cell phone is a Samsung Propel. It is the cheapest phone in the store with a full keyboard. It is available in black/green, black/blue, but mine is red and white (to go with my truck). GO BUCKS! It has a good screen, looks cool and has a fast interface. Happy texting!